The ASC modified Celica GTS convertibles were only built from 1984-1985 on the third generation Celica platform in limited quantity (200 in 1984 and 4200 in 1985). 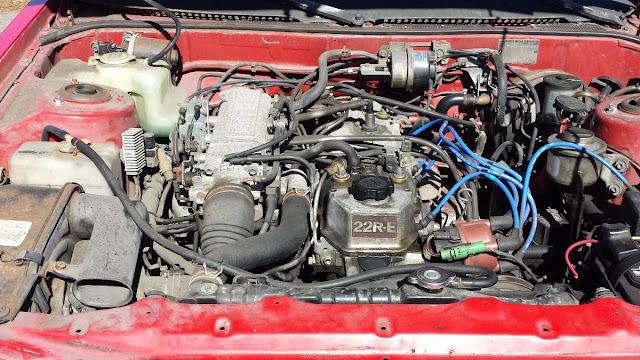 Today, the little ragtop Celicas are not expensive, but this next one is really cheap. 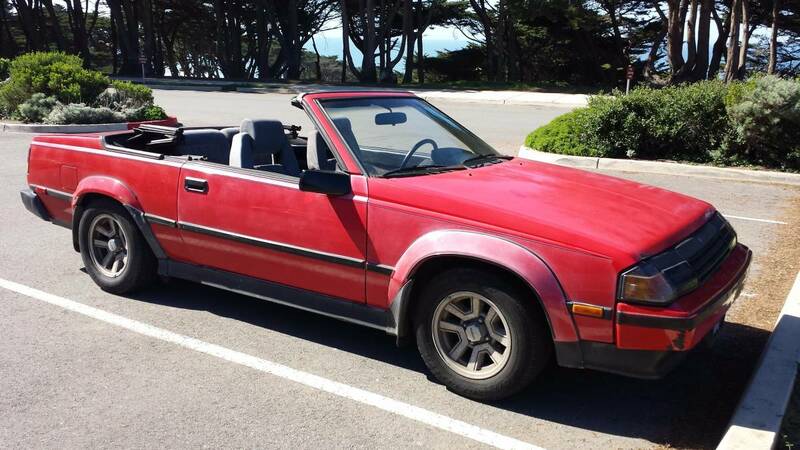 Find this 1985 Toyota Celica GTS Convertible offered for $1,800 in SF Bay Area, CA via craigslist. Tip from FuelTruck. This inexpensive convertible is equipped with a 22RE inline-4 mated to the rear wheels via a 5-speed manual gearbox. It isn't perfect, but the price is right. It's a damn shame that's on the wrong coast for me, I'd love to take it home. $1800/obo is definitely in why the hell not territory for, as the ad states, "reliable like a Toyota pick-up truck but with a convertible body." Perfect.